The usual story I suppose. Our first experience was in 1980 with a 3 month old baby, 2 weeks on the Shroppie. It rained every day and we were hooked. We started to hire again as soon as we could afford it and finally bought our own boat in 2005 when I retired. After fitting it out myself from a lined sailaway Cath took a year off work and we cruised for a full year. We then returned to marina life until 2010 when we finally decided to cut loose. We now cruise throughout the summer and find a marina for the winter months. Our present mooring is Leeds and we love it here so will probably return next winter. She is 60 ft. semi trad. The fact that we seldom see friends and it may be us, but al lot of boat people seem “stand offish” these days. The pace, and the changing scene. Mobile broadband. Sometimes it doesn’t work. The high bits of The Leeds Liverpool, but almost everywhere. Travel power generator. Yes we use a lot of power. 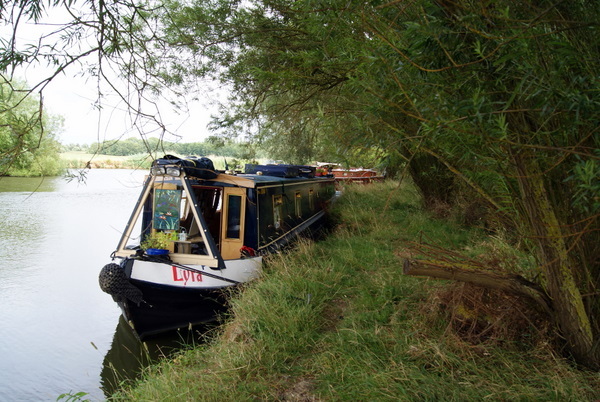 You can find out more about the adventures of narrowboat Lyra here.